Kathy Kennedy has been creating radio-based “soundwalks” since 1992. The term refers to any walk dedicated to listening to the environment, originating from the World Soundscape Project in the 1970’s. Kennedy’s walks have composed and improvisational elements, employing low-watt radio and live musicians. She also leads traditional soundwalks in conjunction with lectures on acoustic ecology. Watch this brief video of a recent (radio-assisted) soundwalk and a resulting improvisation after. 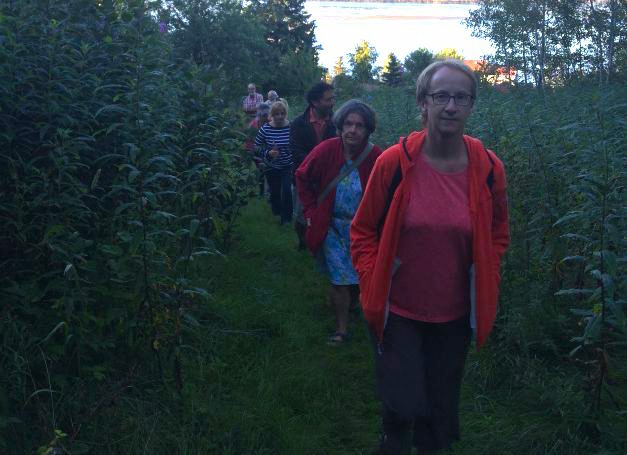 This was an event during the Deep Listening in Nature Retreat in Gaspé, Qc. 2017.